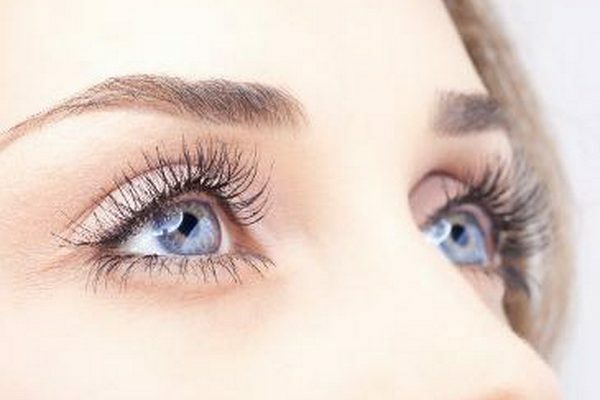 Save yourself money and help age proof your eyes by tweaking your diet and upgrading your beauty routine, because your eyes aren’t just a window to the soul; they can also be a telltale sign of ageing! Every woman dreads the “you look tired” statement so we collectively spend 370 million per year on anti-ageing skin care products. An iron deficiency could be the reason for your under-eye bags and dark circles. Make them go away by incorporating iron-rich foods like spinach, kidney beans and dark chocolate into your diet. When you put makeup directly on to your eyelids it will settle into wrinkles and crevices making them look more prominent. An eye primer will help fill in these creases, allowing for smooth, long-lasting application. When you’re over 40, over-tweezing will make you look like you’re losing eyebrow hair – a classic sign of ageing. If your brows are ‘barely there’ consider having your brows professionally shaped and sculptured with brow henna, or if you have brows that need some colour added, consider having them professionally tinted – the overplucked skin browny eyebrow fad doesn’t suit any face shape and ages women. Moisturising is essential for youthful-looking eyes. Dry skin can lead to cracks, wrinkles and bags. If you’re struggling with puffiness, opt for a gel eye serum or a Calendula eye balm. If you want to reduce the appearance of crow’s feet, reach for a nighttime retinol cream. Whatever products you use in the morning, make sure they include healing Vitamin E and protective SPF for protection from our suns rays. Eating too many salty foods can lead to water retention in the eyes. To prevent puffiness, consume no more than 2300 mg or about one teaspoon of salt a day. If you’re looking for a spa-grade eye pad, reach for sweet potatoes over cucumbers! Sweet potatoes are dense and have anti-inflammatory properties that can decrease puffiness. Cut into one-inch slices and place on eyes for 10 minutes in the morning to reduce darkness and puffiness. Women tend to wear dark eyeliner on the top and bottom lash line, drawing attention to crow’s feet and making dark circles look darker. For a more youthful look, use a dark colour along the top lash line and line the bottom lash line with a soft eyeshadow throughly blended. Try highlighting shadow on the crease will also help brighten your look. Protect your vision and prevent the development of unsightly cataracts by eating Brussels sprouts and Olive Oil. This dynamic duo is an anti-aging powerhouse. Lutein, a nutrient found in Brussels sprouts, can lower the risk of cataracts and age-related macular degeneration. The healthy fats in Olive Oil help your body absorb this essential nutrient. Fight eye bags with tea bags! Resting cold green tea pouches will help reduce the appearance of puffiness. The combination of a cool compress with the tannins in the tea may help constrict the blood vessels and reduce swelling plus the Caffeine in the tea also helps reduce swelling. Don’t waste your money on self-proclaimed miracle products for under-eye circles. No solution has ever been scientifically proven to diminish the appearance of dark circles. If you want to lighten your under-eyes, concealer is the way to go. Choose a creamy concealer with yellow undertones, the yellow will help neutralize the purple hues.